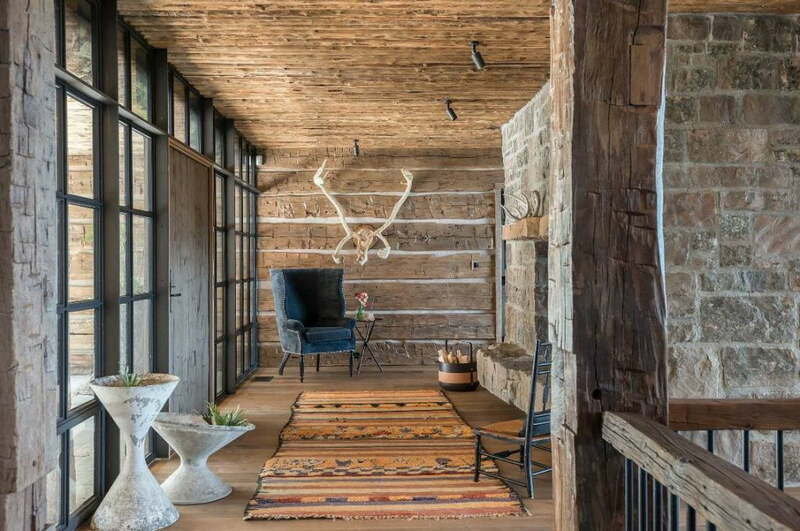 This dream lodge that can be found in Montana. It was made by Pearsons Design Group to showcase their inventive and creative spirits. This well-crafted work of art does not only demonstrates originality, it also displays a balance between collaborative work and architectural intellect. Calling its interior magnificent is an understatement. The house emanates elegance and intricacy. 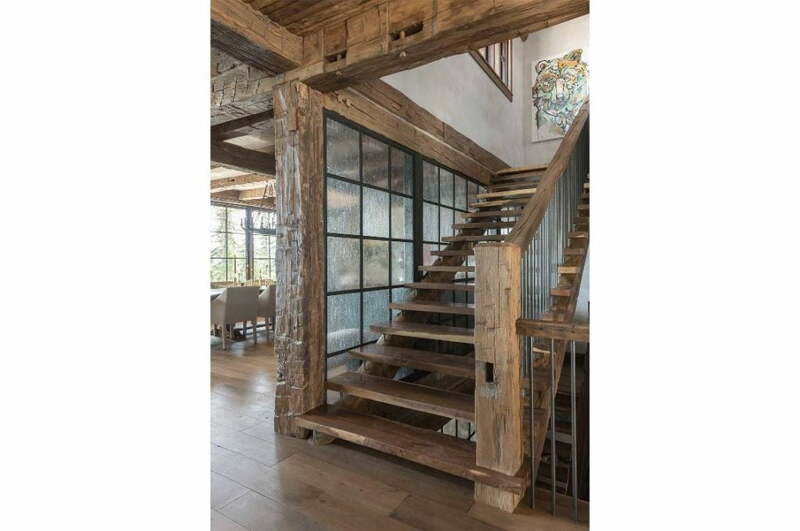 The entirety of the house is a combination of stone, glass, and wood. Before even entering the house, an odd looking chair will welcome you. This chair enhances the beauty of the porch especially with the fur sitting on it. The front door doesn’t open inward nor outward, it rotates. Brilliant, isn’t it? There are bone wall decorations, too. The glass wall lets ample sunlight to keep the room well-lit during the day. 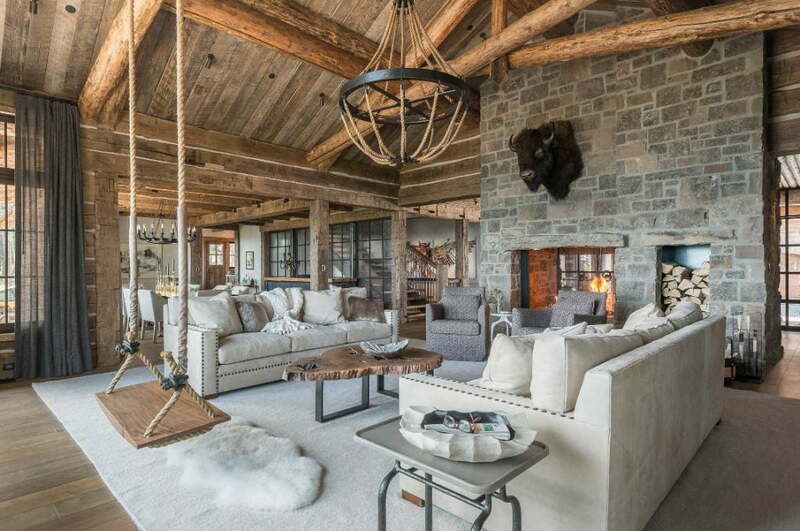 It has a living room with huge couches, a wooden center table, a fur carpet, and a fireplace. It even has a swing inside! 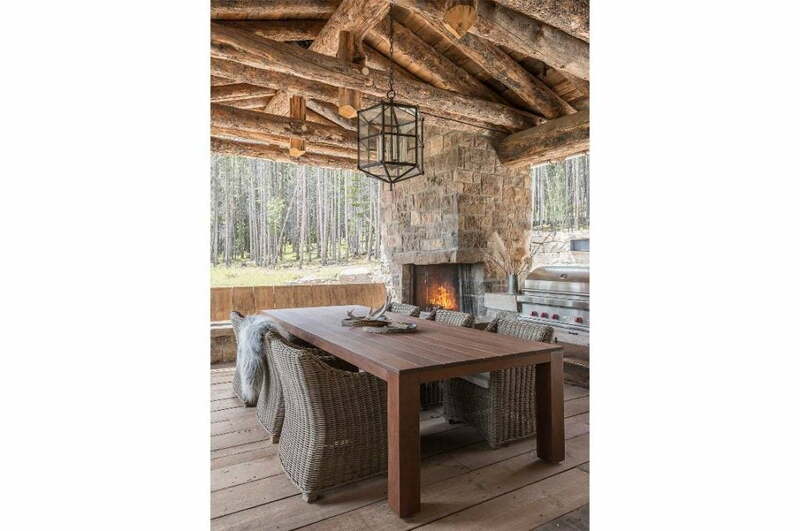 This lodge also has a dining place with a spectacular outside view and a fireplace. On the next level, there’s a gaming area with a bar, a billiard set, and a wooden table. It’s a perfect place for boy’s night. The bedroom has an enormous bed, a couch, and a side table. 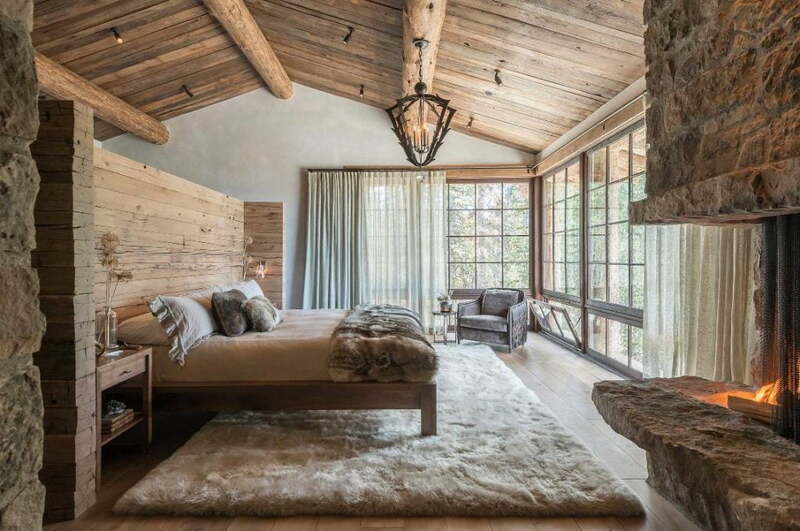 This house doesn’t come short in fireplaces because there’s another one in the bedroom. The bathroom is majestic. The marble bathtub may look simple, but it’s to die for. 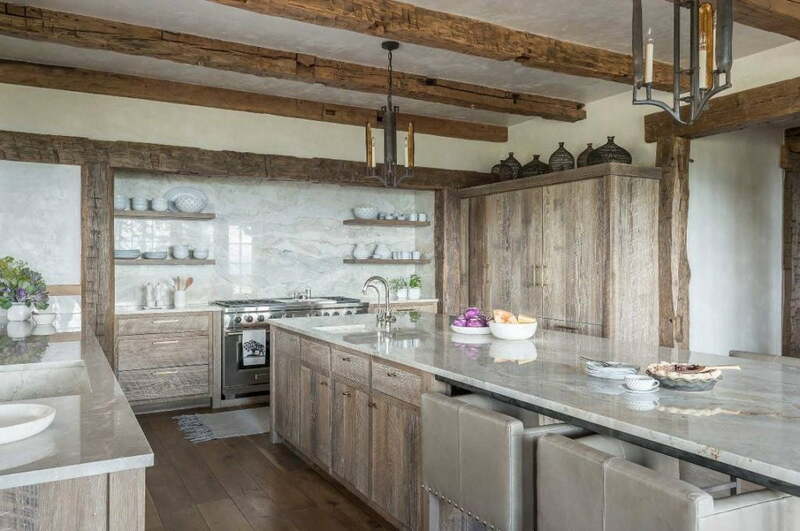 The kitchen is an impeccable mix of marble and wood. The counters are made of marble while the cabinets are wood. The porcelain wares added to the elaborate design of the kitchen. 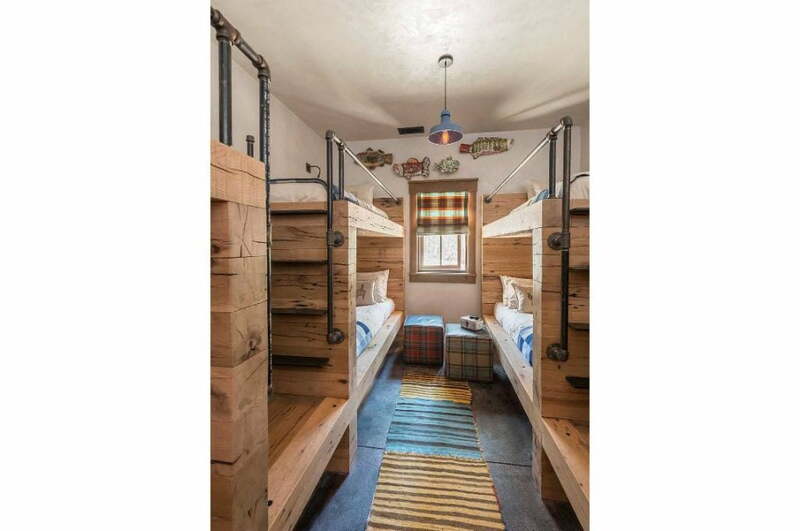 It also has a sleeping quarter with bunk beds for relatives or friends who want to stay over. Lastly, the beds are double-decker with metal posts and ladder. 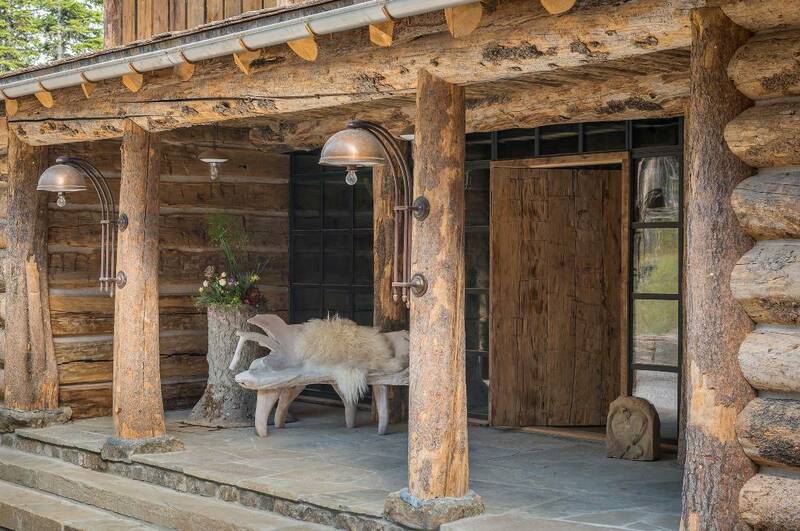 It is, without a doubt, a jaw-dropping dream lodge in the middle of Montana. A funny looking chair and a bouquet on a free trunk welcome anyone. 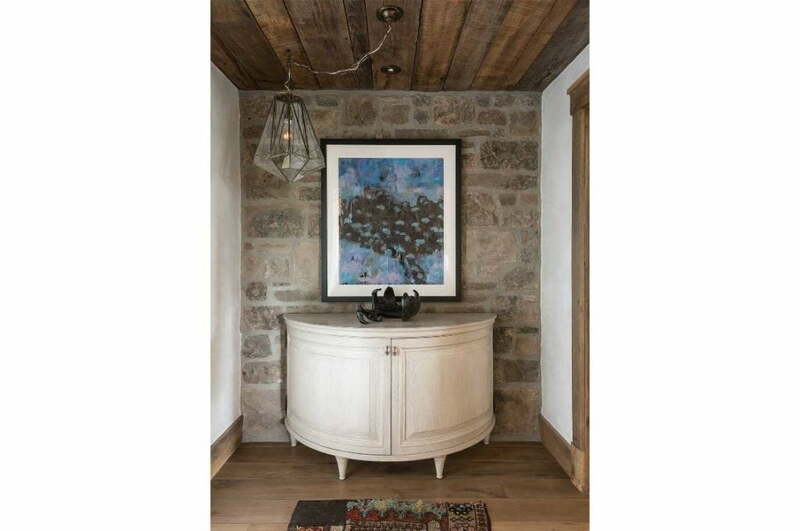 The interesting ornaments add character to a gloomy receiving area. Enjoy the camaraderie of friend and family in this spacious living area. Savor a great meal in this cozy dining place. A tiger is just above the stairs, beware! Liquor and billiards can keep anyone occupied all night. Every day is a bed weather if this is your room. Feel queenly or kingly, in this luxurious bathroom. A wall can have a life if interesting elements were put together. Hearty food for the family will be made in an extraordinary kitchen like this. Sleeping is not a problem if you have these bunk beds.